Max hates his picture books and he's throwing them all away. But he soon learns just how invaluable imagination is and has a change of heart. Find out why in this outrageous book that both pokes fun at and celebrates many of the classics of children's literature. 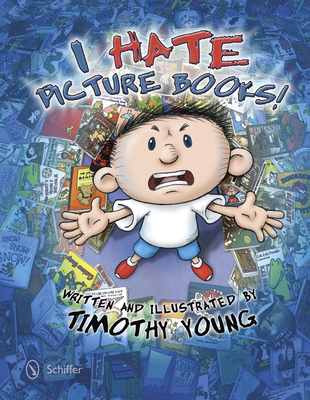 Join writer and illustrator Timothy Young for this irreverent and humorous story. Early reader-ages 5-8. Timothy Young is the author/illustrator of I'm Looking For A Monster!, Shadows On My Wall, and They're Coming!